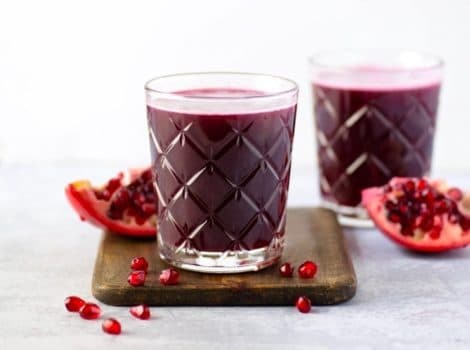 Learn two methods for seeding a pomegranate quickly and easily, and how to make juice from the arils. Much cheaper than store bought! 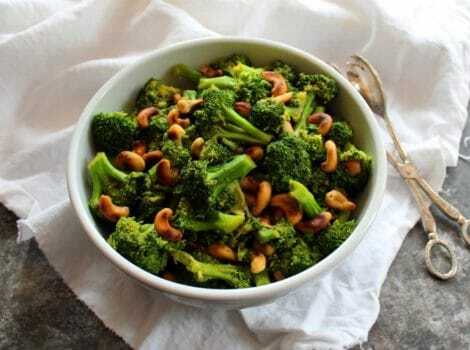 Lightly steamed broccoli and pan-roasted cashews tossed in a luscious sauce with coconut aminos, orange juice, dates, fresh ginger, garlic and cayenne. 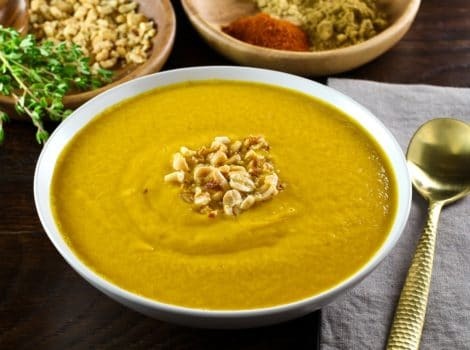 Easy vegan gluten free side dish. 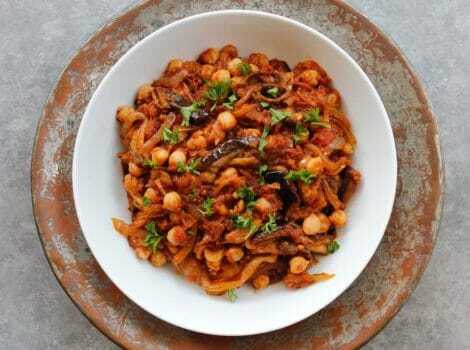 Easy, healthy Middle Eastern vegan recipe with chickpeas, tomato, eggplant and onions. 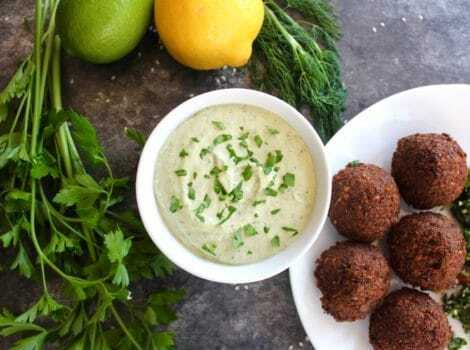 Traditional Druze family cooking. 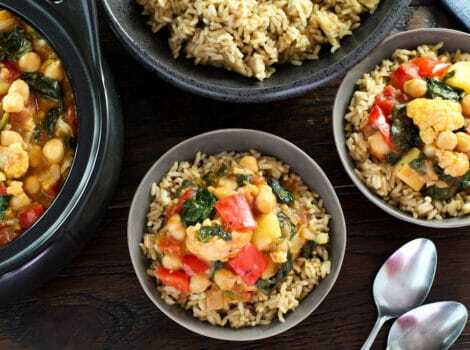 Curried vegetable stew entree with cauliflower, chickpeas and greens in a creamy curry-flavored coconut sauce. 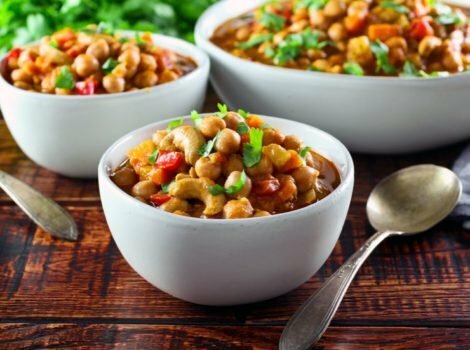 Simple vegan and gluten free one-pot meal. 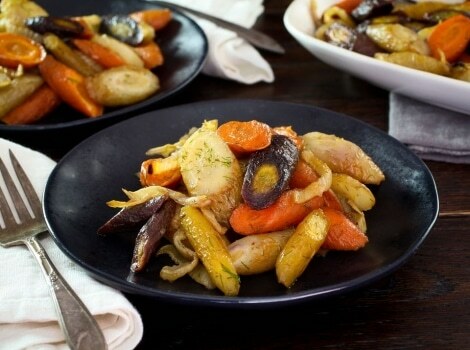 A simple, flavorful and colorful vegan side dish for your dinner table. 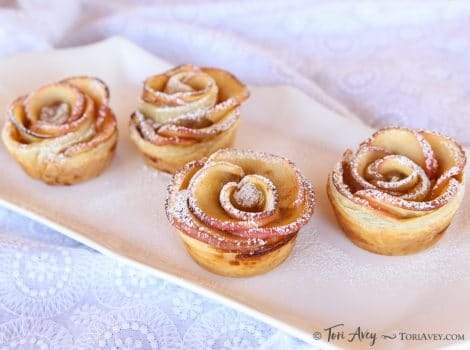 Apple Date Rose Tarts filled with dates, rosewater and cardamom. Surprisingly simple! 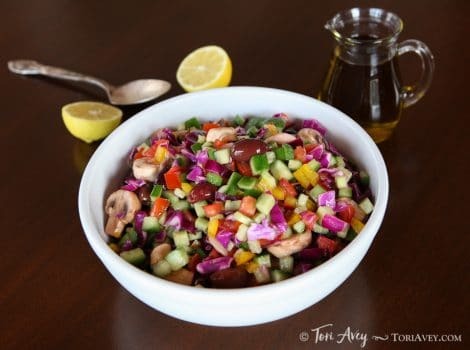 Colorful and healthy vegan side dish from Israel. 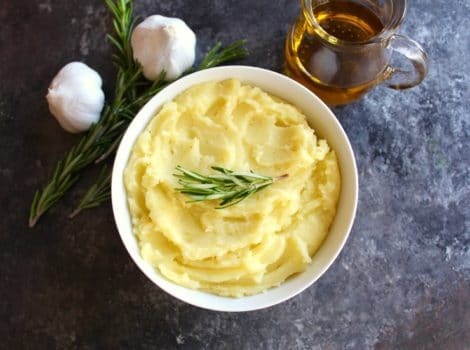 Dressed with lemon and olive oil. 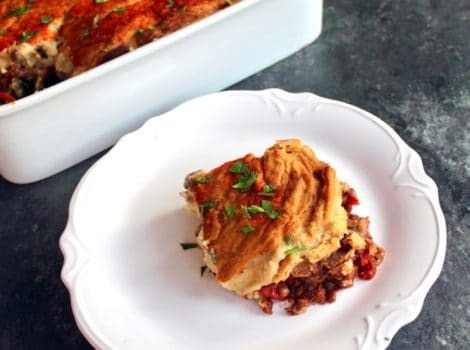 Easy, pretty and flavorful! 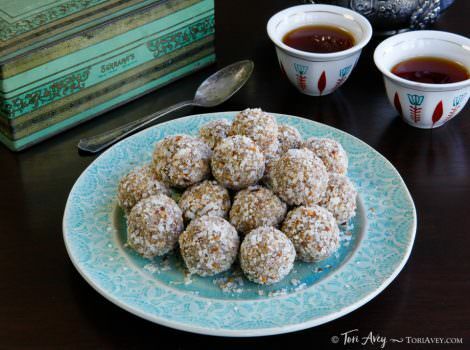 All natural bite-sized treats with toasted coconut, almonds and orange blossom water. 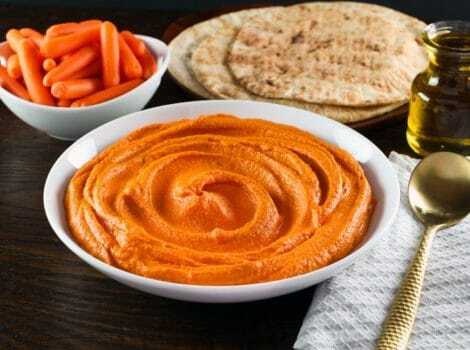 Easy recipe for a healthy and delicious snack. 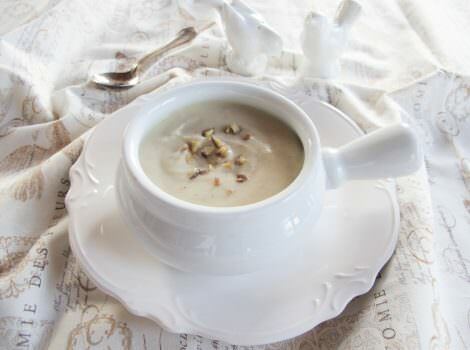 A simple soup puree shared by my friend Julie, made with Jerusalem artichokes and coconut milk, yields a rich and complex flavor. 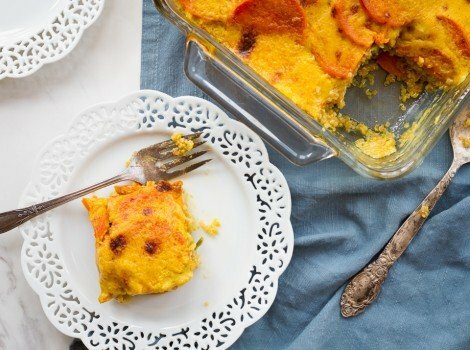 Vegan gluten free entree for Passover or anytime, topped with a rich coconut-saffron “gratin” sauce. 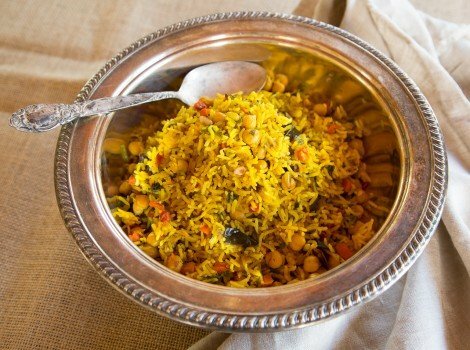 Fluffy basmati rice with turmeric & Middle Eastern spices, roasted eggplant and carrot, chickpeas & pine nuts. 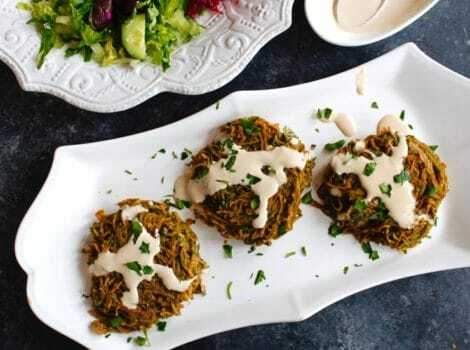 Fabulous vegan entree or side dish. 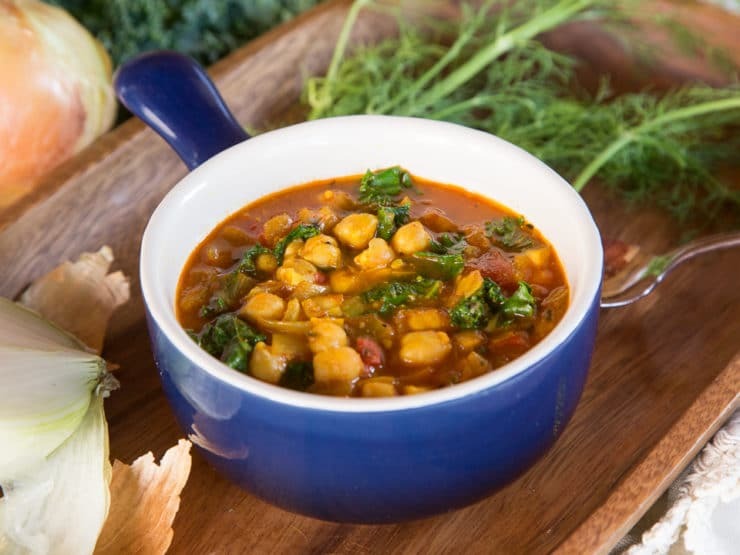 Chickpea Kale and Fire Roasted Tomato Soup, a one pot meal recipe for healthy, hearty soup. 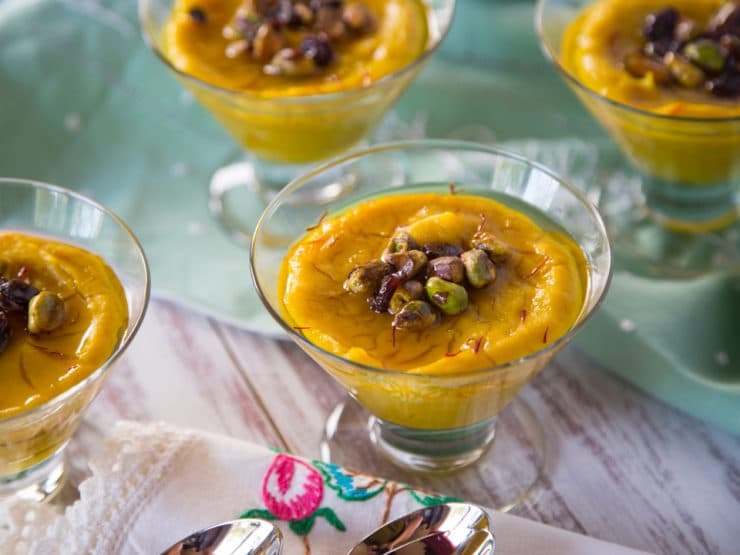 Exotic yet simple gluten free, dairy free, vegan dessert recipe with saffron, pistachios and orange blossom syrup. Make-ahead dessert. 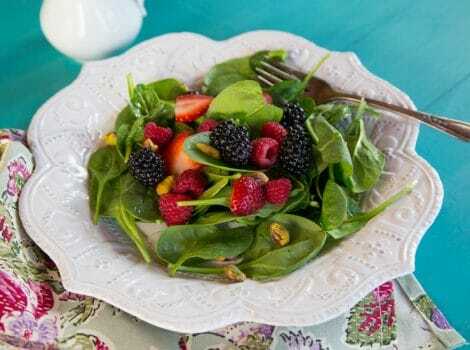 Recipe for fresh vegan spinach salad with ripe berries topped with a tangy sweet maple balsamic vinaigrette. 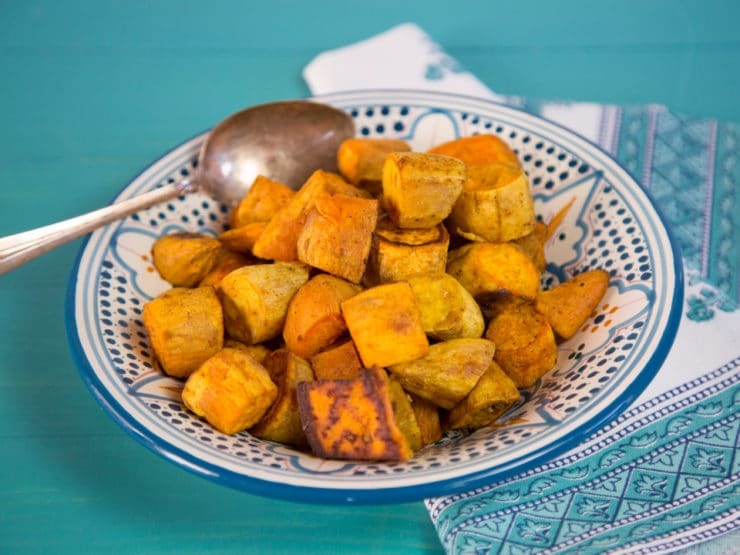 Easy, Healthy, Crave-Worthy Vegan Side Dish Spiced with Curry Powder, Cinnamon and Salt.